Ben Leybovich has been successfully investing in Real Estate since 2006. His area of expertise is creative finance and acquisition methods of income-producing real estate. Aside for writing on his own blog at http://justaskbenwhy.com/?affiliates=8, Ben is a popular blogger on BiggerPockets. Ben is the creator of a course for Real Estate entrepreneurs called Cash Flow Freedom University, as well as a cash flow analysis software CFFU Cash Flow Analyzer. His strategy is slightly different from mine, but we both believe rental properties are the most reasonable, accessible, and proven way to achieve financial success. We both use leverage to increase our returns, concentrate on cash flow and buy low. This is Invest Four More’s first interview or collaboration with another investor. I hope this is the beginning of more interviews, guest blogs and other input from investors as the blog matures. Ben’s story of how he came to be a Real Estate Investor is incredibly inspiring. I hope you enjoy this interview as much as I did! Mark: Hello Ben. Thanks for taking the time to speak with me. Mark: Can you give us a little background about yourself? Ben: Well, I had just begun working on my Master Degree, when one day I suddenly felt some tingling sensation in my legs. I didn’t pay much attention to it at first, but the sensation became more pronounced and I started experiencing vertigo as well. Within a few days I started noticing a loss of coordination in my right arm. I knew something was seriously wrong when a loaded fork would miss my mouth and I would smear food on my cheek. To make a long story short, I ended up in the hospital a few days later, where I was told that my symptoms are most consistent with an auto-immune condition called Multiple Sclerosis (MS), a disease which over time leads to, among other things, a loss of mobility! Mark: I bet that was scary, what were you thinking at the time? Ben: You could say that again Mark! I am a violinist – music is what I know; it’s what I am; it’s who I am; it’s what I’ve loved and cared about since the age of 5 for crying out loud. Mark: Ben, I can’t imagine what this must have been like for you, but in the end you found your way to Real Estate. Tell me how you got to where you are now. Ben: Well Mark – when I finally found some peace and some semblance of emotional balance, I began researching the world of money extensively. The most important discovery which eventually led me to investing and real estate was when I realized that not all money is created equal and not all income is the same. In fact, the Internal Revenue Service categorizes all income into 3 groups: Earned Income, Passive Income, and Portfolio Income. Earned income is employment and self-employment income. It is the W2 and 1099 income. Earned Income comes to us as the result of performing labor in exchange for a paycheck. The problem with it, though, is that if you can’t be there to earn it, then you have no income; it’s the be healthy, and go punch the clock kind of income. Portfolio Income is income resulting from investments in paper assets, such as stocks, bonds, mutual funds, annuities, etc. Both types belong to the world of investment, and therefore both are a lot more passive in their nature than earned income; both require management, but not labor. This works much better for me than earning a living as an employee or self-employed. I quickly realized that portfolio income was not right for me for two reasons. First or all, what I really needed was income to pay my monthly bills. Therefore, my investments had to produce cash flow. I learned, however, that paper assets offer very few possibilities in a way of income. True, I could buy dividend stocks and annuities, but where am I going to get the money? At 5% annual return, which is no gimme in the world of paper assets, I would have to own $600,000 of such assets in order to generate $30,000 of annual pre-tax income. I plain did not have access to this kind of capital – which was the other problem! On the other hand, as I dug into Real Estate, I learned about things like Leverage, OPM, and Creative Finance. All signs pointed to the fact that real estate had to become the underpinning of my financial life, and thus about 11 years ago, or approximately one year following the MS diagnosis, I dedicated myself to the study of the art and science of real estate finance and acquisition. Mark: Ben, as you know, there are endless options and techniques under the umbrella of Real Estate Investing. What is your focus? Ben: I have a medical condition which could eventually lead limited use of my body. With this in mind, do I really want to stake my financial future on flipping houses, or even wholesaling? Definitely not! This game is all about “PASSIVE INCOME” for me. I am a buy and hold kind of guy. Mark: Ben, define Creative Finance as you see it. Ben: Well, if I were to ask 100 investors to identify the greatest obstacle to the achievement of their goals, I imagine that the vast majority would answer – insufficient CASH. Real estate is indeed a cash-intensive game, at least as it relates to acquisition of income-producing assets. Creative Finance is a combination of tools, techniques, terms, or approaches which allow us to gain ownership of assets without needing cash. Mark: That makes sense, Ben. Can you walk me through one of your typical deals? Ben: Well, let me say first that a “typical” deal is as much of an oxymoron in the world of Creative Finance as a skinny wrestler in the world of Sumu. Every deal is different because the problems being solved are different, requiring different modes of acquisition and financing. Having said this, I do tend to utilize a blend of private and institutional financing in most of my deals. I very seldom utilize short-term money now days because I think this is dangerous in today’s environment. I do not use hard money under any circumstances. I work with medium to long-term money; minimum five years. I utilize tools like blanket notes, cross-collateralization, and substitution of collateral quite extensively in my transactions. But, but the deal I am going to tell you about just happened a few months ago, and is actually one of my more straight-forward deals. 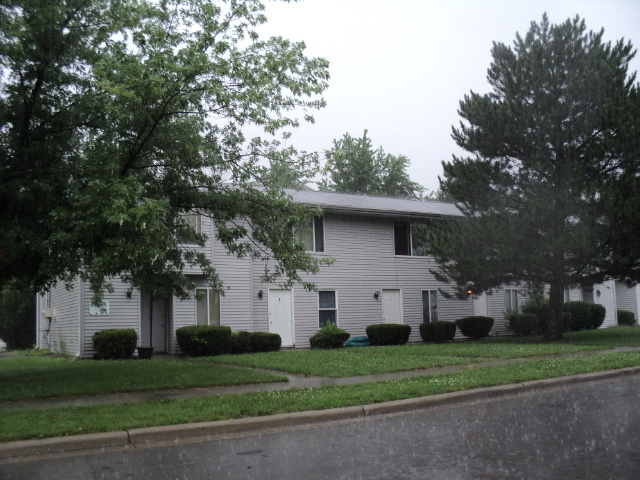 I closed on this 10-unit in February of 2013, which takes my portfolio to 28 doors. This is a 1980 two-story structure, actually there are two identical five-unit buildings sitting next to one another. 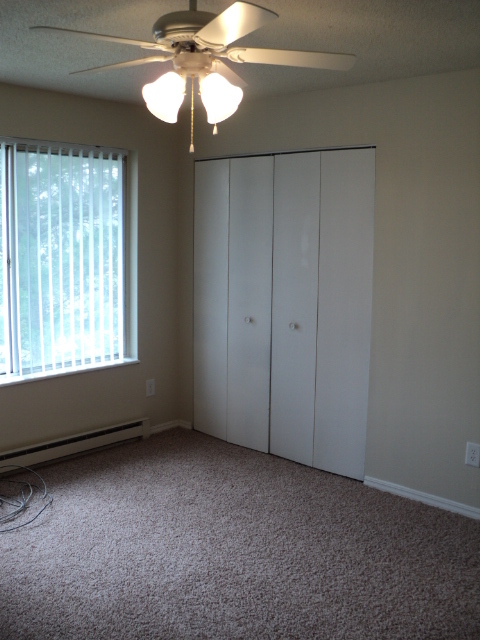 The unit mix consists of 2 brm/1.5 bath and 2 brm/1 bath town-house style apartments. The purchase price was $373,500, or $37,350 per unit. The Scheduled Gross Income on the day of closing stood at $5,805 per month, while the monthly Operating Costs added up to just about $2,400, resulting in monthly NOI (Net Operating Income) of roughly $3,400. Just going by those numbers this was a solid deal. The going CAP Rate in my neck of the woods for a building such as this is 10%, meaning that most investors would have been willing to pay about $410,000. Thus, by paying $373,500 I received a little bit of a discount, but not much – about $36,000. But for me, more value than this discount was represented in the financing package that I was able to structure and the expandability opportunities which existed in this deal. You are probably not going to be surprised since you read my posts on my blog as well as the things I write on BiggerPockets.com, but many of your readers may be intrigued to know that I closed on this deal with $5,300 out-of-pocket! I am not sure, but I think this may qualify as Creative Finance! Most people would have automatically assumed a 25% down-payment, which in this case would have meant close to $100,000 out-of-pocket. Some day I may be in a financial circumstance that allows for writing a check of this magnitude, though I probably still wouldn’t do it, but as things are today – forget it! Having to write a check like that would have made this deal completely unattainable. Mark: How did you put so little money down? Ben: Well, true to my methods, the financing package included a blend of an institutional portfolio loan for 70% of the purchase price, and a private loan collateralized with a promissory note and mortgage for 25% of the purchase price. My contribution to the deal was 5%, but after all of the prorations all I needed to bring to closing was about $5,300. Mark: I see you put very little money down, but with that much financed does it cash flow? Ben: Good question! What this building is and where it is, I plan on a 15% expense for vacancy and repairs as part of the ongoing operating costs, which at the time of closing was about $900 per month. But even with that, the building was still showing positive cash flow of $1,000/month after debt service. Do you see what I meant when I said earlier that while the $36,500 discount on the purchase price was nice, there was much more value in the financing? Equity looks good on my balance sheet, but the financing made the deal doable for me without having to absolutely empty out my bank, and created a real plus in my income statement! Mark: Nice Ben, You now own a building that puts $1,000/month in your pocket with very little money down. Is there anything else you want to tell me about this deal? First of all, this will obviously increase my cash flow from the building, bringing it to $1,700 per month. But also, the increased NOI will constitute an improvement of value. With income-producing property, the valuation is a function of income. This is simple in concept – the only reason we buy this type of property is to generate passive income, therefore the worth of this property is a function of how much income it generates. This creates a wonderful opportunity for expandability, since by increasing the income it is possible to “back into” increased valuation. Incidentally, this logic does not apply in the SFR word, which is why I prefer to play the game on the commercial side. Well, in this particular case, the monthly NOI at the time of closing stood at $3,400 – $40,800/year. At a 10% Capitalization Rate this constitutes a value of around $408,000, which is why I mentioned earlier that I received a bit of a discount against the capitalized value. Mark: You mentioned that 25% of this deal was privately financed. What does that mean? Was it Owner-financing? If not, what type of financing was it and how did you find it? Ben: OK – most people are familiar owner-financing, which in this case would be owner carry-back. Indeed, owner-financing is the best game in town in my opinion. I’ve written about this quite a lot, but it comes down to the simple truth that absolutely everything in a transaction is negotiable when the owner is involved. Unfortunately, it can be quite difficult to build a business model strictly on owner-financing; there are simply not enough owners willing to do it. Interestingly, owner-financing can be quite advantageous for the seller under certain circumstances, but negotiating this requires educating the seller which is not always practical or even possible. No – on this deal there was no owner-financing. There was a private Note and Mortgage for 25% of the purchase price. Mark: So, was this private mortgage secured in against this property? Ben: That’s a good question indeed Mark. This question suggests that you understand the collectivization process – good for you! To answer your question – sort of… The Note was secured with an umbrella mortgage which was cross-collateralized by this and other property in my portfolio. Mark: Ben, how exactly did you find private financing? Private financing is something many investors search for. Ben: Ha – another poignant question. Short answer – Circle of Influence! Will that do? Mark: I suppose it will have to do. It sounds as though you have met some very important people through your investing and blogging! Mark: Ben, I have to ask you – Are you not concerned about leveraging so highly? Ben: Yes, which is why I am very choosy about which deals I take! I may not have mentioned this yet, but I tend to only do 1 deal per year. This is primarily because my guidelines are extremely specific, and while there are many deals out there, most of them are not what I would consider with pursuing. Now, it is true that I financed basically 100% of this acquisition. However, there are 2 points to be made here. First, my capacity to hold on to the building is a function of cash flow and having nothing to do with leverage. As you can see the cash flow is strong. And secondly, between the discounted price at the front door and the forced appreciation resulting from the increased NOI, I will easily own 100k of equity within one to two years. Financing 100% of the purchase price is not at all the same thing as financing 100% of the value ion this case. Mark: What would be your dream deal? 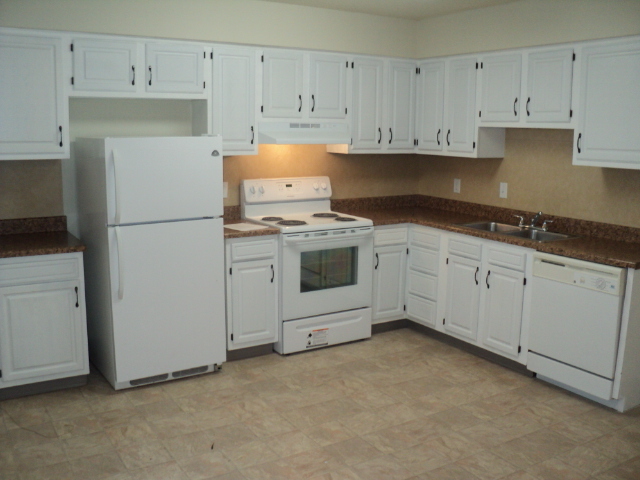 Ben: Owner-financed 100-unit with cash flow in the range of $130 per door. Mark: What advice would you give a beginning investor or someone considering real estate? Realize that lack of money is not an excuse. Knowledge trumps money in real estate. Mark: Speaking of that, I know that you’ve created a course and you coach people. Tell me about that. Ben: CashFlowFreedomUniversity is a course I created for real estate entrepreneurs who are interested in Creative Finance. CFFU is comprised of over 18 hours of MP3 content and 200 pages of PDF, detailing my approach to real estate. To illustrate my points, I incorporated a number of case-studies, and knowing that students will most certainly have questions I make myself available completely free of any additional charges for the first 90 days following the purchase. Let me also tell you that I have designed rather nifty cash flow analysis software – the CFFU Cash Flow Analyzer. It is currently in its’ Beta form, and I am including it free of charge with the CFFU. Mark: How much do you sell your course for! Ben: $295 – it’s worth every penny! Mark: Thank you for taking the time to sit down with me Ben! I believe we could go much more in-depth with many of these topics. Would you be willing to do a follow-up interview? Ben: I would love too! In fact I would even be willing to do a seminar or podcast. Thank you for inviting me Mark. As you can tell, Ben has been through much more than most of us. While most investors are looking for great investments, because we want to create wealth or retire early(like myself). Ben is investing to create passive income, because he doesn’t know what the future will hold for him. He doesn’t know how many productive years he has and income-producing Real Estate is his “insurance policy”. I hope Ben’s story has inspired you too go after what you really want in life and what is important. My greatest take-away from this interview is that what happened to Ben, can happen to all of us at any time. Life happens now, so live it and take advantage of everything you can! If you would like more information on Ben’s Cash Flow Freedom University please visit here. This entry was posted in A Positive Attitude, Products, Purchase Properties, Rental Strategies, Structuring Investments and tagged Ben, BiggerPockets, Business, Cash flow, Internal Revenue Service, investing, no money down, Professionals, Real estate, United States. Bookmark the permalink.